He was mad about eggs, loved their shape and symbolism … I was almost crucified for stealing eggs from a bird’s nest for Brett. His huge appreciation of nature was evident from childhood – he rejoiced in the optical look of the world and delighted in making art out of it. As he moved around the New South Wales countryside – Oberon, Marulan, Carcoar, Bathurst – and the Glass House Mountains in Queensland, Whiteley depicted the landscape in all its seasons and shifts of mood. Repetition of certain motifs symbolised states of mind: trees, rocks and arabesques of rivers echoing the flightpaths of birds, which in turn represented his relaxed journey through his own domain. But birds in particular held a poignant place in his visual language. He had loved them since his childhood, and in his last phase of work they represented a yearning at once for domestic stability and personal freedom. 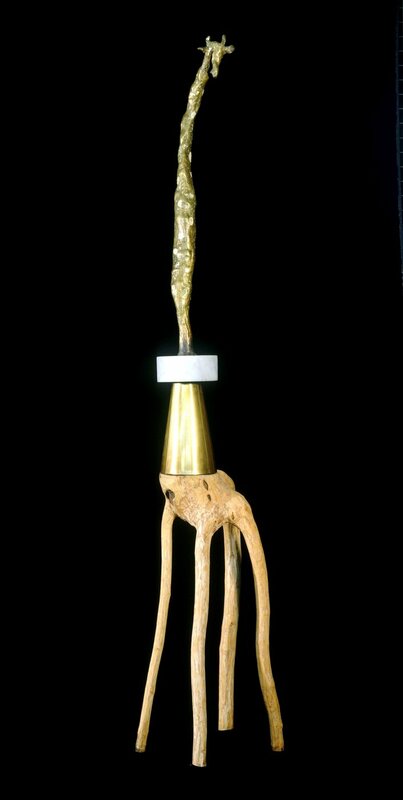 Sculpture is totemic, phallic, something that grows upwards from the earth or from the gallery floor. As a young boy, Whiteley was fascinated with bird’s eggs and nests, often collecting them and persuading others to collect for him as well. 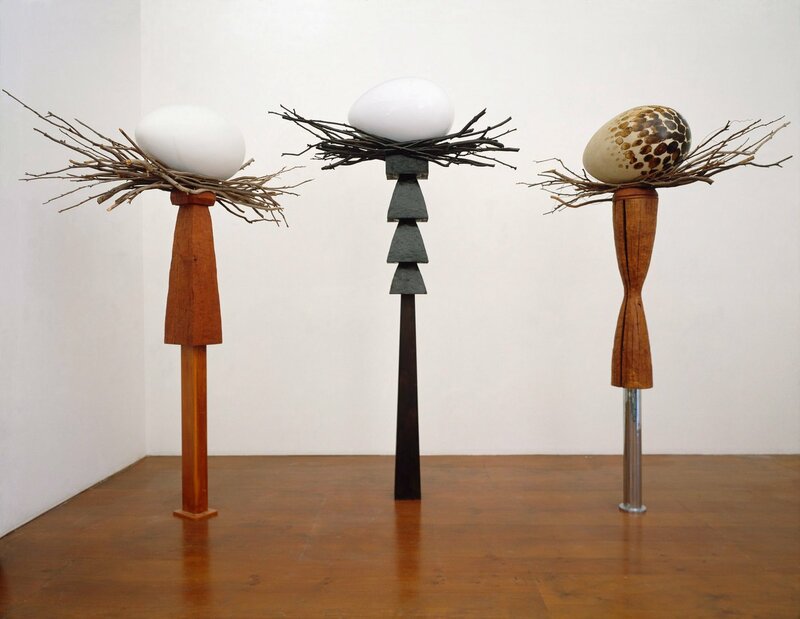 The egg – a recurring element in his work – is traditionally a symbol of fertility. Sculptor Constantin Brâncuși considered it the perfect form. Whiteley has evoked a sense of celebration by exaggerating size and scale to create this fantasy totem. 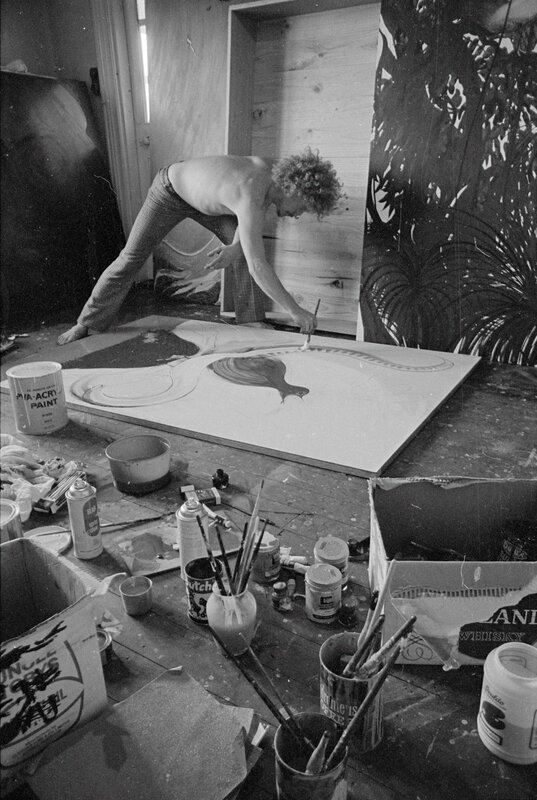 Whiteley’s spirited paintings and drawings of giraffes, monkeys and lions may also be appreciated in the context of his ongoing feeling of connection with the animal and bird kingdoms. Birds, rivers, trees, rocks, ponds, skidding insects, shy mammals, spaces alternately cluttered or uncluttered: such elements and passages were scattered throughout Whiteley’s landscapes in different combinations, whether on the intimate level of small studies, or the elegiac majesty of his large-scale paintings. The day after the bicentenary celebrations on Sydney Harbour in 1988, Whiteley was thrilled to find a thong washed up on the beach among the debris left from the festivities. 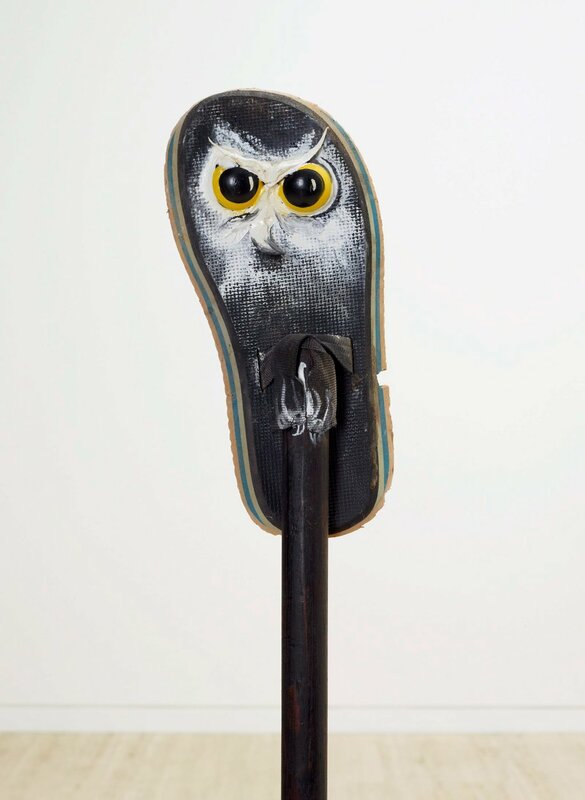 It was old and broken and of no use to anyone, but he had immediately seen the owl in it. 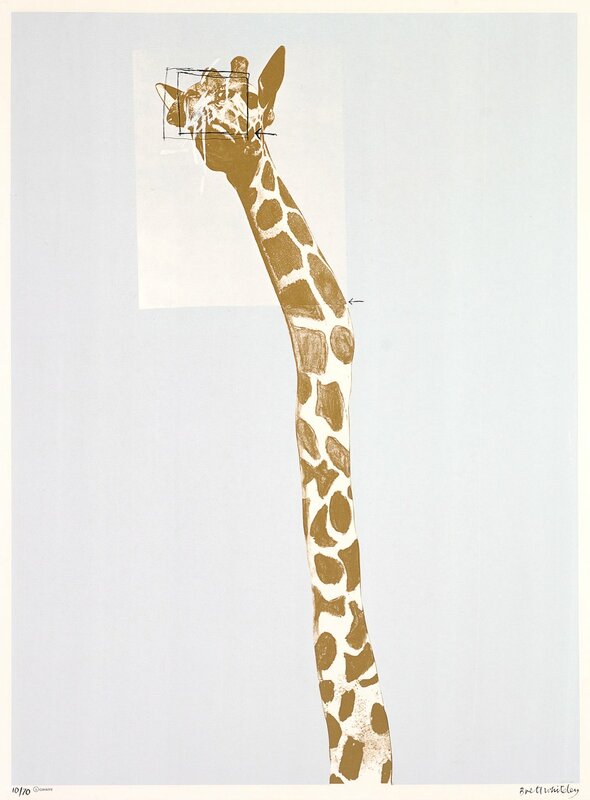 Photography was vital to Whiteley’s 'Zoo’ series as it was to many of his subsequent prints. Not only did photography aid the process of transferring images to the screen for printing via photo-stencils, but Whiteley also used photographs for images, or as collage in drawings and paintings. The visual transition from drawn line, flat areas of colour and photography is particularly seamless in these prints, arguably more so than in his paintings. Whiteley’s love of birds began in childhood and continued throughout his life. What do you think it was about the natural world, and birds in particular, that captured Whiteley’s imagination? 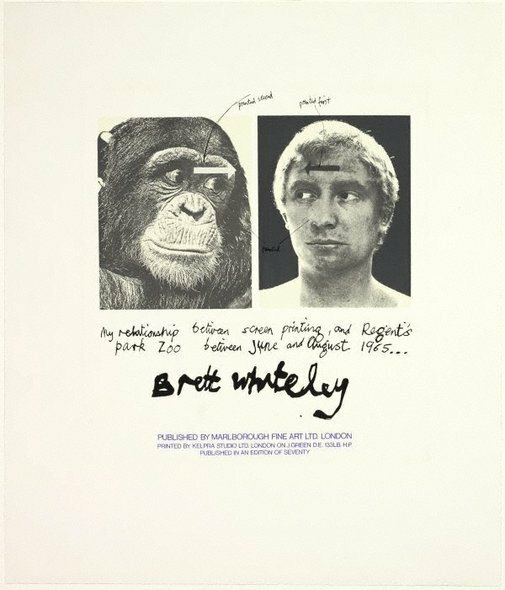 Consider the similarities and differences in Whiteley’s depictions of animals. Why do you think he explored this subject in so many ways – painting, drawing sculpture, printmaking and collage. Choose an artwork from this section and list the ways in which Whiteley captures the essence of this subject. 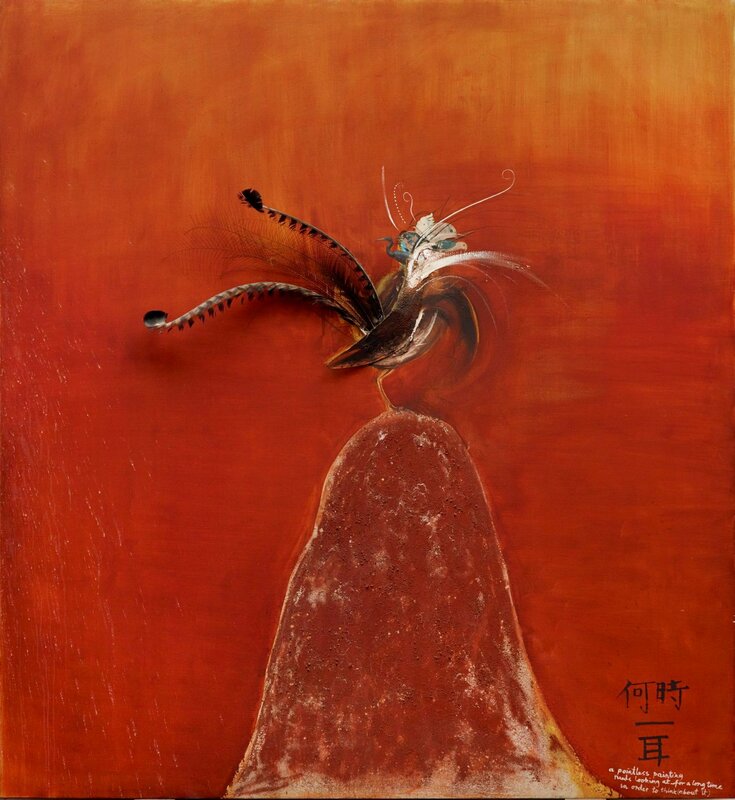 There is a heightened sense of reality in his artworks with the combination of real objects, such as a kingfisher bird on a branch, with or attached to the painted surface. Describe the way you feel when you see a real bird in a painting. Do you have the same response when you see a painted image of a bird? How important are animals and birds to us? Animals have been a source of inspiration for artists for thousands of years. Select an animal or bird and look at how they have been depicted by artists and in stories from a range of cultures. 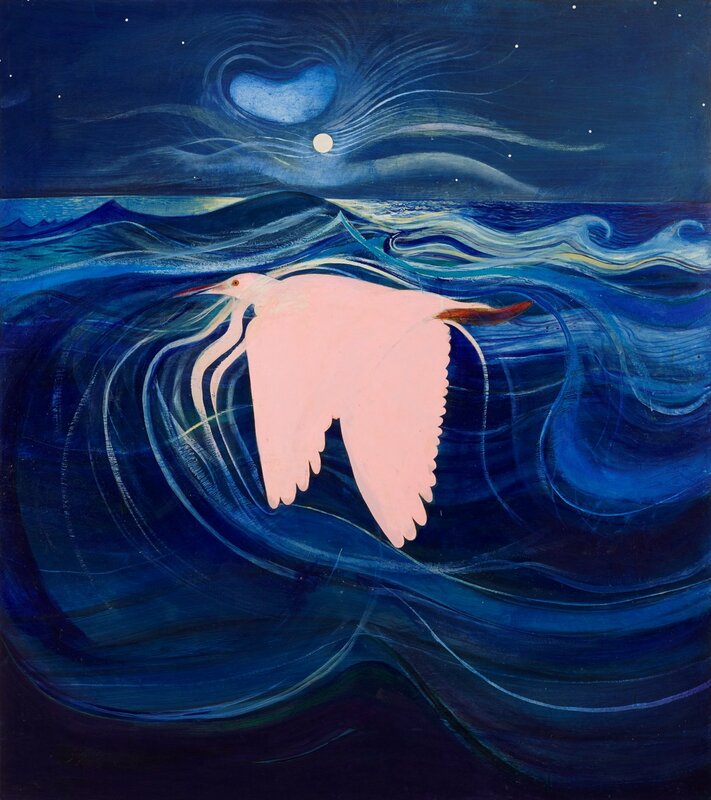 Create an artwork depicting this bird inspired by Whiteley’s art practice. Look at the images of birds that Whiteley has created. How does the artist portray the actions of these birds? Sketch birds in your local environment. Observe how they move. 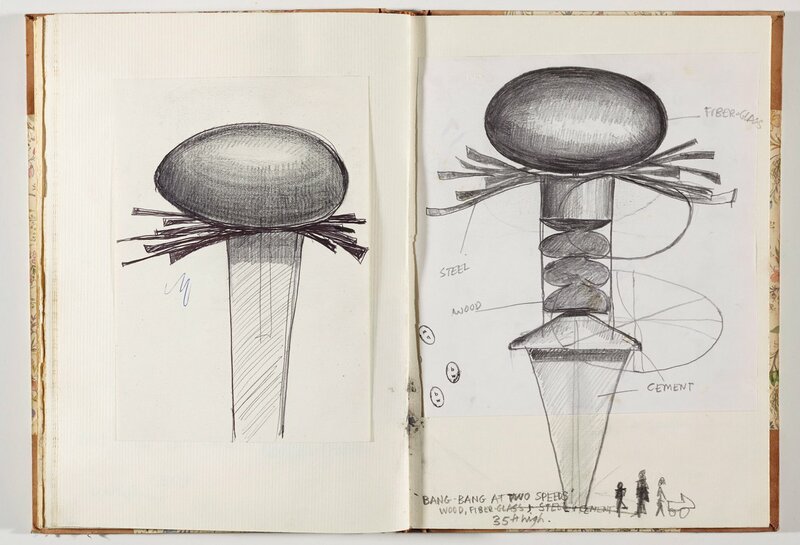 From memory, create an artwork based on your observations. Reflect on the symbolic nature of birds and what they may have meant to Whiteley. Select a bird to represent you. Create a series of artworks based on your selected bird and an aspect of your life; combine these into one cohesive composition.